Kaizer Chiefs goalkeeper Itumeleng Khune says he will support any decision made by coach Giovanni Solinas, even if it sees him being dropped to the bench. 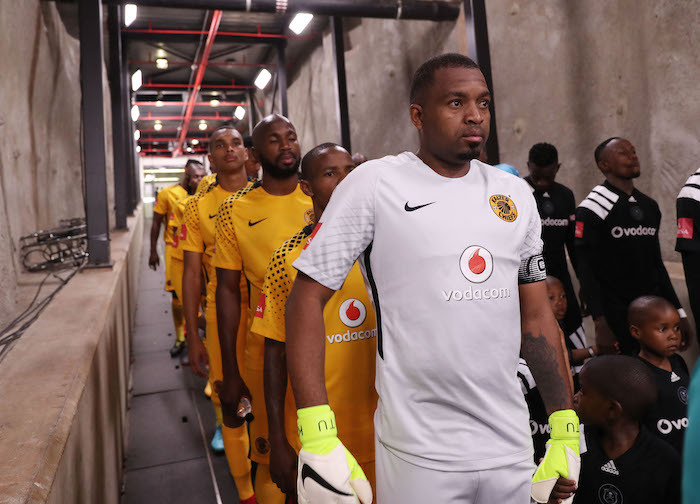 Khune was rested for Chiefs’ Telkom Knockout last-16 clash against Bloack Leopards which they narrowly won due to the heroics of second-choice goalkeeper Virgil Vries. ‘He really doesn’t owe me an explanation when he leaves me out,’ Khune told the media. ‘I agree with the coach. If you have two international goalkeepers, why not rotate them? ‘Even when the coach wanted to explain why he was putting me on the bench, I said it wasn’t necessary because I am a professional player and have been for many years. ‘I have seen situations like these from other clubs where another goalkeeper plays the league games and others the cup matches. ‘But he said he was explaining it to me out of respect because he won’t just make a decision and not inform me. ‘If you count all competitions and the Caf tournament, we would have played over 50 matches – including international matches. So we need to share the load,” Khune said, adding that Solinas’ overall rotation policy was to enhance competition,’ he concluded. Solinas is likely to go with Khune’s experience and know-how for the Soweto Derby when the two sides clash at the FNB Stadium on Saturday with kickoff set for 3:30pm.